I served a mission in Southern Georgia but my first visit to the Atlanta Georgia Temple was 14 years later. I visited with my wife and Daughter on a massive month and a half road trip. We visited Family and 31 temples over a month and a half. The Atlanta Temple has been expanded 2 times since it’s dedication. The first was when I was on my way home from my Mission. The temple was closed when I went to the airport. The Second was just before our 2011 road trip. We were pretty pleased to be able to add it to our road trip. This is one I would love to visit again, maybe in the fall when leaves are changing. Everything is so Humid in the summer I suppose there are some awesome colors in the fall. 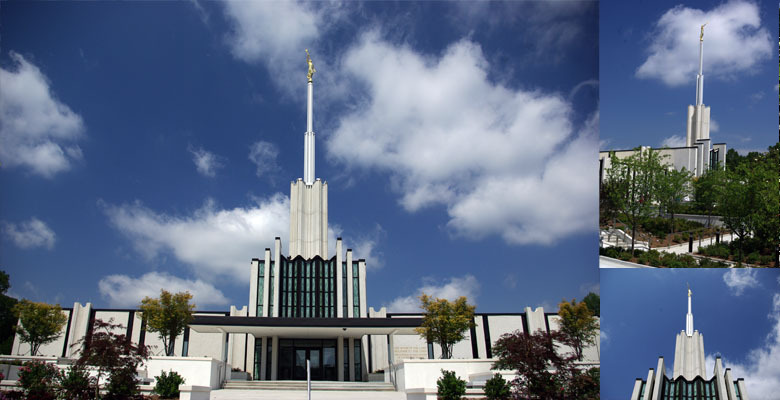 An odd side note: I read a comment in a forum once where someone used the multiple remodels of the Atlanta temple as proof the Mormon church was not true. Because “the one true church would build it right the first time.” Of course the church would never have to update heating and cooling systems, power systems, paint, or maybe expand due to increased church growth. Ever.